the tent is amazing and easy to put up even with a injured wrist. Can't wait to use it in the new year! 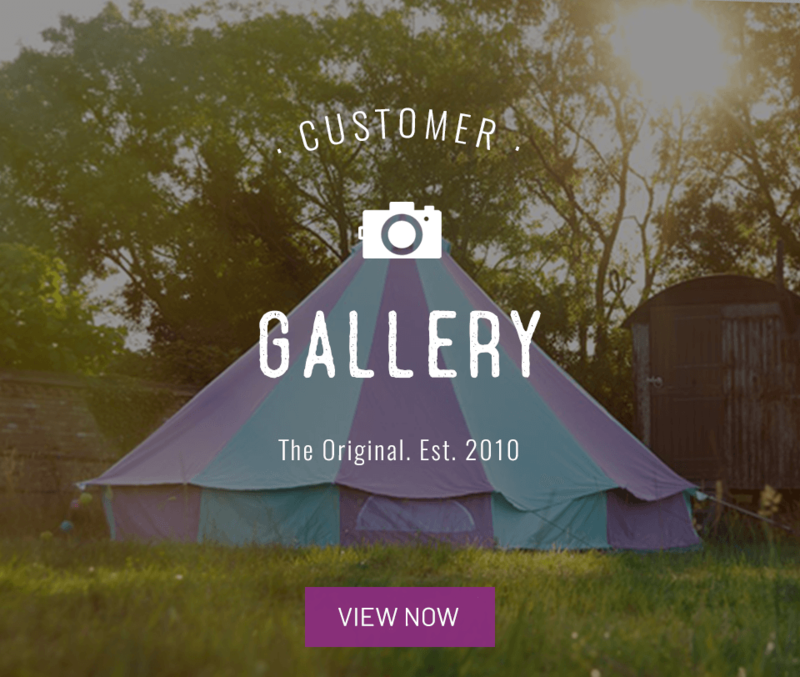 I purchased the 4m canvas bell tent a few weeks ago. It was easy to order. I also ordered a triangle tarp. Everything arrived quickly (pretty sure it arrived the following day) and I put it up in the back garden straight away. I wanted to make sure everything was there and have a bit of a practice run, ready for the camping trip at the end of August. It is so simple to put up and is easily for one person to put up. I was impressed with the quality of the tent and all the bags. The rubber mallet isn’t the best quality. The thick tent pegs are very good but need a good whack to get them into hard ground. I found using a metal lump hammer better for the thick pegs. The rubber mallet starts to get damaged on the thick pegs. The tent folded up well and easily went into the bag.I camped for the long weekend and the weather was horrendous on Sunday. Tents all over the site were blowing over. A friend had to leave a day early as their tunnel tent collapsed. Another friend’s tunnel tent was leaking and had to be repaired. My bell tent stood strong. The pegs stayed firm in the ground. The canvas didn’t leak. There was a slight bit of water around the zip of the zip in ground sheet but not enough to cause any bother. The 3 of us (2 adults and a 4 year old) were comfortable. Would want to go a size up for a bigger family to be comfortable. The triangle tarp worked well. The wind changed direction a couple of times so moved it to different sides of the door but this is easily done. Provides a good place to store things and a bit of shelter from the wind and rain when getting in and out of the tent. The tent was quick and easy to pack away into the bag and isn’t too wet and the rain runs off the canvas well. Will just air it out before storing it. 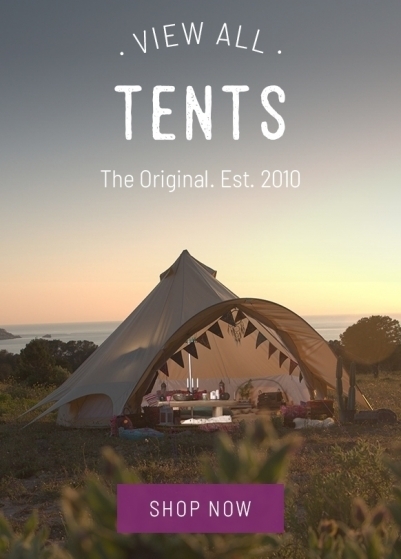 Throughly recommend this tent. Will look at getting another tarp for the next trip to give a bit of shelter for outside cooking and dining. Just finished my first camping trip with my new 5 m bell tent. Very easy to put up and take down, truly a one person job. Once up it was a wonderful space for the family to hang out, can't wait for the next trip. Love it! Really easy even for one person to put up. Loads of room and great with the sides up. Looks great. Packs away really neatly. Love it (did I already mention that?)! 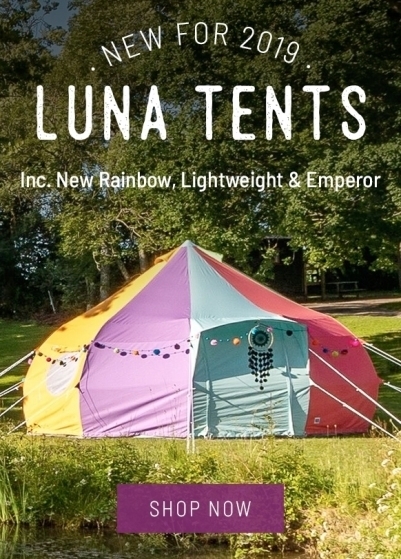 Extremely well made and so easy to put up, I would recommend this tent. I purchased a 4m tent as I wanted it to be big enough for a family of four to camp in and also be small enough to also set up in the garden to dry off afterwards if needed.Love the spacious feel in this tent and looking forward to taking the odd daily nap in it when camping as it is not going to be sweaty inside like the nylon tent we had, and the simple one pole set up is a breeze too. Only took 15 min to pitch on first attempt and I muddled a couple of things, so will be even quicker next time - bonus if you arrive at campsite and it's raining!We will be bringing our own tent porch and adding it onto this so we can keep things outside too. Will invest in wood burning stove next year and a porch too. The tent is heavy, waterproof and like a tardis inside. Pitching took 15-20 mins and was pretty straight forward even for a novice like me. Expect to be the subject of interest on a traditional campsite; this is unlike any run of the mill Halfords tent. 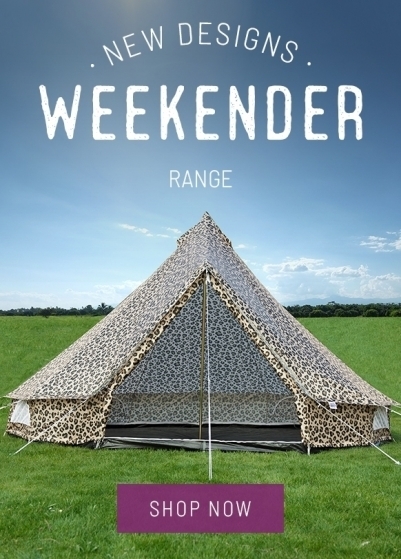 If you like the idea of camping but utterly dislike the experience of camping buy this tent; it is made for non-campers! Really good quality, exactly what I hoped for. Wow, amazing service, ordered last Sunday 23 october, changed delivery address at last min on Monday, and delivered to new address on Tuesday 24 October, fantastic service!!!! 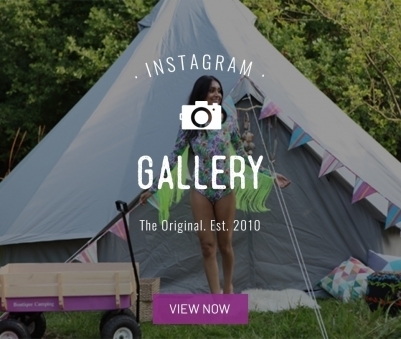 We had fallen in love with a Bell tent after seeing a friends one at a festival. And now we are the proud owners of one!!!!!! With a busy life and various things happening, the earliest we could put it up was today.....after watching the video, reading the instructions in the package, I thought that the 15min setup was a little wishful, (especially for a first timer) but it was true, from no tent to fully set up pegged out and guy lined in 15mins!!! Even my Vango takes longer than that......! The quality of the tent is amazing, the guy lines, the pegs, the poles, the bags, the actual tent!!! Utterly amazing!!!! We are completely blown away by it....it is amazing! Today was just a test, to make sure all was good....it wasn't it; was PERFECT! We can't wait for the summer, we will be living the glamping dream, with lots of additional furniture, lights and the creature comforts, we really are impressed!!! An amazing product, amazing service, we feel like we're part of a secret family!!! Many many thanks utterly superb! I LOVE my new tent! It's light and airy, really easy to put up - I did it all by myself and it doesn't take long, even the first time. In hot weather you can roll the sides up which looks fab and it has survived some pretty big thunderstorms and nothing is wet inside. 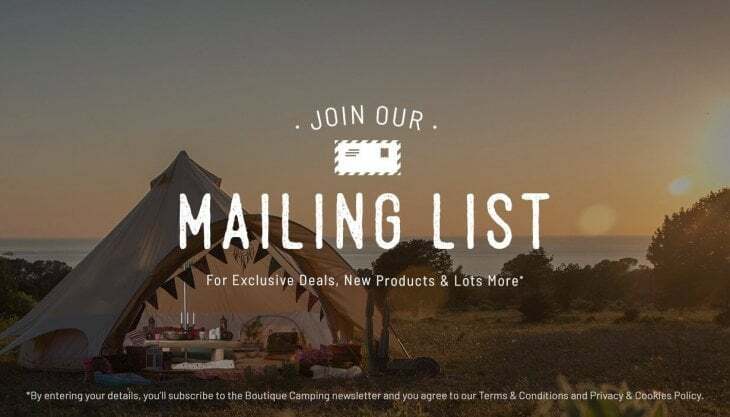 Got other accessories, cushions, rug, table , bunting and lantern too all from boutique camping, a truly inspirational company and a pleasure to buy from. All my friends are very jealous! Received the tent very promptly from Boutique Camping. Very easy to put up - took me ~25 minutes by myself. would have been a lot quicker with 2 people. VERY spacious. Not used in anger (or rain) yet, so can't comment on weatherproofing - that comes next month in Wales. Good quality throughout and love the zip in/out groundsheet.